Three days in the Lake District, so two nights under canvas. There is much to report: tales of long drives, snow, sunburn, ice and bulls. The finches were very tame too. Scafel: Climbed the same route that we first used in the first attempt with the Three Peaks group from work all those years ago. The climb onto the Col was not difficult, though it looked as if it would be. The rocks were wet and a few snow patches remained. 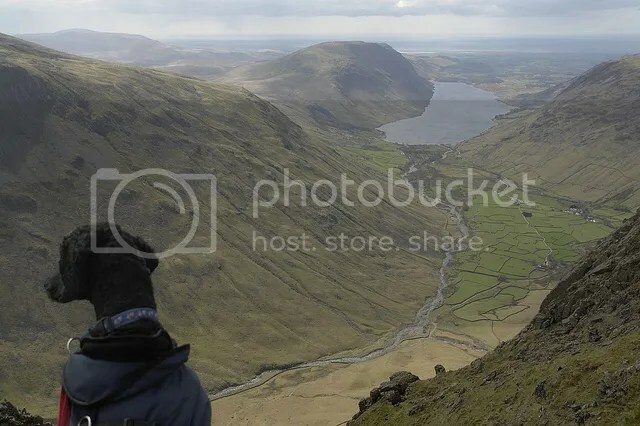 Great Gable: We got off to a tricky start- there was a narrow field jut up from the Wast Head pub where a small herd of cattle decided it was time to go back to the farm. The field narrowed as at the point where we would cross. Rosie performed a dramatic act of heroism- I let her off the lead when it became apparent that the bullocks might charge. She roared & barked and ran at the. the cleared off towards the farm. Result. Later that day, we made the top of Great Gable which was not a difficult climb from the Windy Valley approach. That valley was quite sheltered from the 3°C wind- the one part of the walk where a cooling wind would have helped. On the summit, ice patches suggested that temperatures were considerably below freezing, possibly -6°. This summit has some large boulders which gave good shelter, so we stopped for lunch. The descent wasn’t so nice though. Firstly we tried the west route, but the fine scree was too difficult- it was too easy to slide without a way to stop. Digging heels in helped but no way to weigh anchor. I was not happy about it, so we went back to the top to find another route. 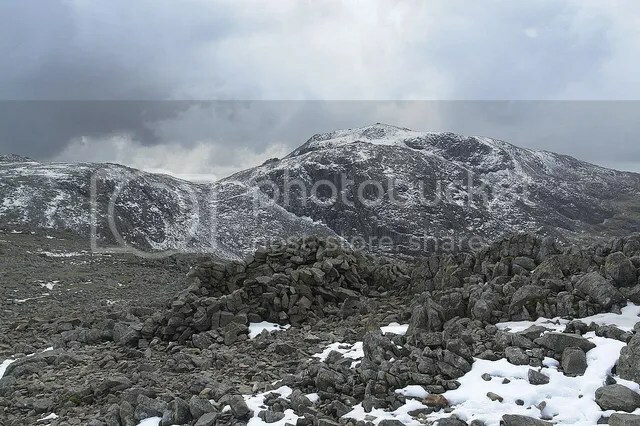 This entry was posted in Hiking and tagged Cumbria, Great Gable, Lake District, National park, Recreation and Sports. Bookmark the permalink.